Your Parking lot or your driveway looks fabulous, so why not protect your pavement investment. Sealcoating can extend the life of your pavement by slowing down the aging process. It is also more aesthetically pleasing. 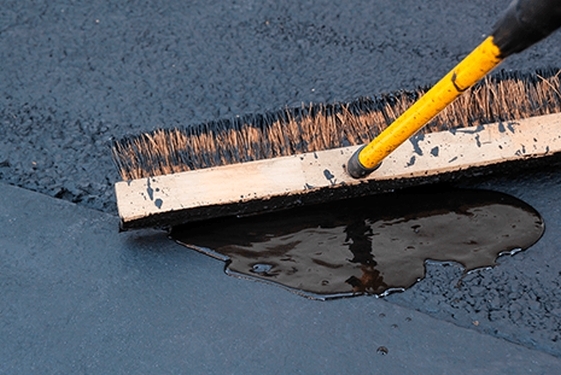 Sealcoating gives your asphalt a clean, smooth, jet black surface. Which in turn allows for the striping and directional signage to be more visible. Some other benefits to sealcoating is it slows down the oxidation from the UV rays and the sun. Protection from environmental elements is important. With oxidation comes deterioration and cracking. Moisture and water can seep through these cracks weakening your asphalt and creating even bigger cracks or tiny “sinkholes”. Speaking of seal coating, we can fill in hairline cracks and other gaps in your pavement whever needed. Another benefit to sealcoating is the protection from oil, gas and other chemicals most parking lots and private driveways encounter on a daily basis. Let Pickett’s Paving keep your pavement investment extend the life of your pavement investment. Call us for a free estimate on sealcoating today!